Good article Neon, nice work. Just Stumbled it since I think this should be read by many people. Yes. PR is a bonus and will attract more advertisers. i definitely will be a lot more happy if PR of my sites are high. However, between traffic and good PR, i will prefer to have more traffic than having good PR. Good PR doesnt earn as much as good traffic. I don’t feel so bad now after reading about all those blogs being knocked down. Mine went from 4 to 3. PR is nice, but traffic and PR don’t necessarily correspond. PR is outdated. Blogs and sites with no PR can get plenty of organic traffic. 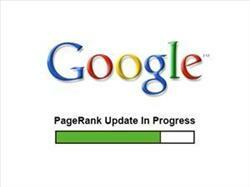 The obsession with Page Rank is misguided. but u will not earn with pr u earn with good traffic,u will try ti gain good targeted traffic . PR is very important…. maintaining or increasing PR isn’t such easy work… but if you are consistent then you can do it! Neon, my blog a few months ago has a PR3. Then i make a link exchange with others (3 level) and gess what? It drops to a PR0. To all readers, don´t do link exchange. It will not welp you at all. That experiment haven`t hurt my positioning in Google.pt. I`m still number 1 in some keys, and number 3 in others. I`m still learning SEO techniques by trying and error. Thats the best way to learn. Don`t do wath others tell you to do. Do it your self and learn with it. PS: I`ve Stumbled you. Others must read this important info as I did. Keep it going, post more good info. I still think PR is important. But we shld not fret over it. I am not sure why people are going over the heel for PR. I still get good traffic for sites that have low PR.